It was 1983, nearly 125 years after the Industrial Revolution, when Jim Ruhlman launched K.C. Steel Supply, Inc.
One man with the industry knowledge gained from the giant steel mills and supply houses started with one phone and the steely resolve to supply steel products to contractors, fabricators, and any companies using steel to make consumer or industrial products, build sidewalks, buildings and bridges, or simply maintain their office and plant operations. 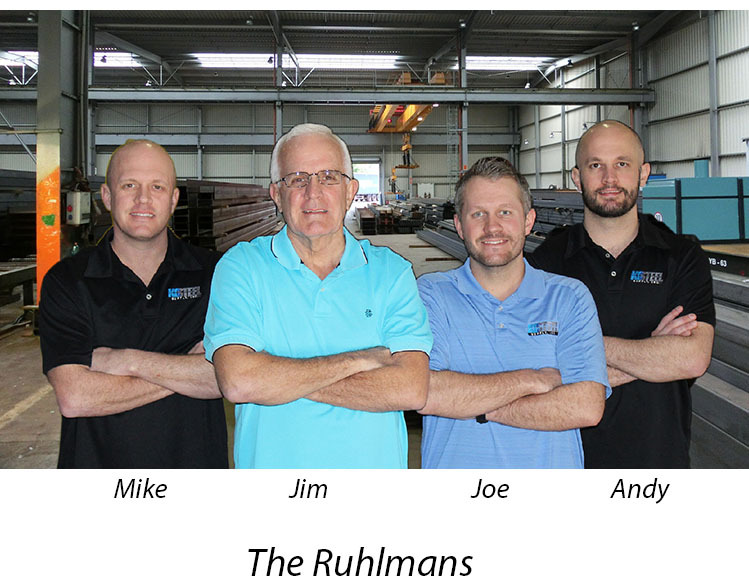 Today, Jim, the original “KC Steeler” is still active in the business but proud to welcome and eager to mentor a 2nd generation of Ruhlman Steelers – Mike, Joe, & Andy – who have joined him on the family team and looking to carry the business forward for generations to come. Mike as Vice President, Joe as Vice President/General Manager, and Andy as inside sales.